Decatur, We Like It Here. For as long as I can remember, that has been the official motto of my hometown: Decatur, IL. Although the slogan has been associated with various community development efforts for decades, it has also been the source of no small amount of (tragic) comedy: in 2007, even The Colbert Report got in on the action through its Better Know a District series. Nonetheless, I am happy to report that, thanks to the work of countless people working in and out of the public eye, Decatur has dramatically and quantifiably improved. Recently, Decatur’s slogan has taken on additional meaning for me and for Johego. Exactly one month ago today, Johego held its first-ever in-person fundraiser, at The Decatur Club in Decatur, IL. The response from the community was inspiring: despite a hailstorm that flooded nearby streets, we were able to raise nearly $37,000 in pledged and matched donations! 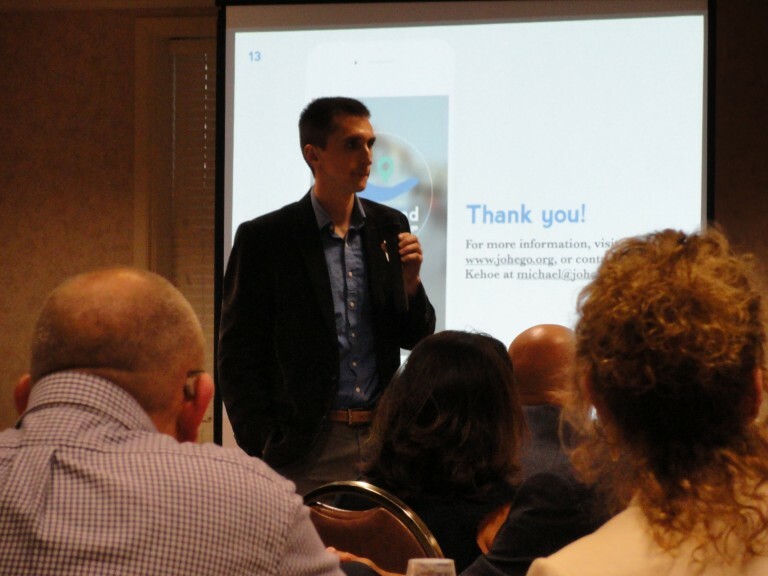 It’s hard to overstate how much Decatur’s generosity has meant to Johego: these funds will not only directly support our efforts to improve community development through technology, but they will also make it easier for us to secure large-scale grants from like-minded charitable foundations. When the right connections are made, things truly grow better together than they do separately. Whether or not you are able to donate, we appreciate your interest in our success. Thank you so much for your support!